A gift to the Department of Surgery at San Francisco General Hospital helps support research to treat patients requiring surgical critical care for injuries, burns, complex wounds, and surgical infections. San Francisco’s Vision Zero SF Injury Prevention Research (VZIPR) Collaborative is a coordinated effort between epidemiologists, trauma surgeons, nurses, geospatial analysts and other key staff from the San Francisco Department of Public Health(SFDPH) and Zuckerberg San Francisco General Hospital and Trauma Center (ZSFG). ZSFG is the City’s only Level I Trauma Center and so caters to almost all the serious injuries that occur in San Francisco. 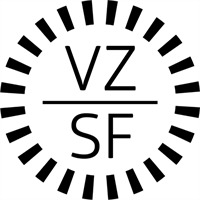 VZIPR has been working since 2014 to develop, institutionalize and utilize comprehensive injury data in support of strategic research and analyses for Vision Zero SF– San Francisco’s policy and commitment to eliminate traffic deaths on city streets. SFDPH co-chairs San Francisco’s Vision Zero Task Force with the San Francisco Municipal Transportation Agency. VZIPR’s efforts have resulted in a comprehensive Transportation-related Injury Surveillance System (TISS)linking hospital, police, emergency response and other data for more accurate, coordinated and timely monitoring of transportation-related injuries and deaths. In turn, these data support safety project prioritization, evaluation and monitoring. A pilot of the system linking 2013-2015 data was completed in early 2017 and is now being utilized to inform targeted Vision Zero efforts. San Francisco was the first city in the country to use the linked and mapped data to update its Vision Zero High Injury Network. The network identifies high injury corridors - the 13% of city streets where 75% of severe and fatal injuries are concentrated - where targeted Vision Zero investments can help save lives and reduce severe injuries. VZIPR works closely with City agencies and community stakeholders to identify and address emerging research needs in support of Vision Zero SF. Recent projects by VZIPR include an analysis of injuries to seniors and people with disabilities that is helping inform proactive injury improvements for those vulnerable populations; an analysis of the medical costs of transportation-related injury in San Francisco currently under peer review; and a predictive model of cyclist injuries at intersections, developed using machine learning and regression techniques, also under peer review. Current VZIPR efforts to implement data systems to better track injuries from emerging mobility modes – such as powered scooters – were recently covered by the New York Times. The San Francisco Wraparound Project is now an extension of the Trauma Center's traditional services. The Wraparound Project currently provides mentorship, partners with community organizations and links clients to essential risk-reduction resources in order to reduce injury recidivism and prison recidivism in the citizens of the City of San Francisco, hardest hit by interpersonal and youth violence. Interpersonal violent injury is now pervasive in the United States, and trauma centers stand on the front lines of the epidemic. According to the Centers for Disease Control WISQARS reports, homicide was responsible for 17,357 deaths in 2004. This represents over 565,000 potential life years lost, giving credence to the concern that interpersonal violence disproportionately affects our young people. Disadvantaged minority populations are disproportionately represented in this devastation. Homicide is the number one cause of death in African Americans aged 10-24 years old and number two amongst Hispanics. Fatalities from assault represent the tip of the iceberg; non-fatal injuries are believed to outnumber fatal injuries on the order of one hundred to one. Trauma centers, including San Francisco General Hospital, often typify the "revolving door" phenomenon: for many young individuals who are assaulted, over 300 each year at our hospital, violent injury is not a one-time event. Injury recidivists constitute between 10 and 45% of all violence-related admissions nationwide. Many violently injured youth and young adults have a record of criminal activity but are not provided "reentry" opportunities in a like manner to the criminal justice system. For many of these individuals, they are not ushered towards these opportunities simply because they ended up on the wrong end of the weapon. In addition, physical rehabilitation is provided in the aftermath of injury, however, providing services to reduce or eliminate risk factors associated with violent injury and criminal activity are not traditionally offered upon hospital discharge. The global burden of surgical disease is a significant and historically neglected global health problem, disproportionately affecting low- and middle-income countries. Injuries alone kill more people each year than HIV, malaria, and TB combined. Disparities in access to safe, quality emergency and essential surgical care and unmet surgical needs result in increased death and disability. With growing recognition of the critical role of surgery in achieving universal health coverage, building and understanding improved surgical care systems is fundamental to achieving global equity in health and surgery for all. At the UCSF Center for Global Surgical Studies, we believe that strong academic collaborations will help address this health inequity through solid research, effective policy, advocacy, and capacity building. The San Francisco Injury Center for Research and Prevention (SFIC) is one of 12 Injury Control Research Centers funded by the National Center for injury Prevention and Control at the Centers for Disease Control and Prevention. The SFIC was established in 1989 and is located at the San Francisco General Hospital campus of the University of California, San Francisco, School of Medicine. The SFIC is a center without walls - bringing together multidisciplinary faculty investigators from throughout the UCSF campus and beyond. The resulting collaborative efforts in laboratory research, clinical trials and injury prevention research have the potential to improve outcomes for victims of trauma in our region and to influence the field of injury control on a global basis.